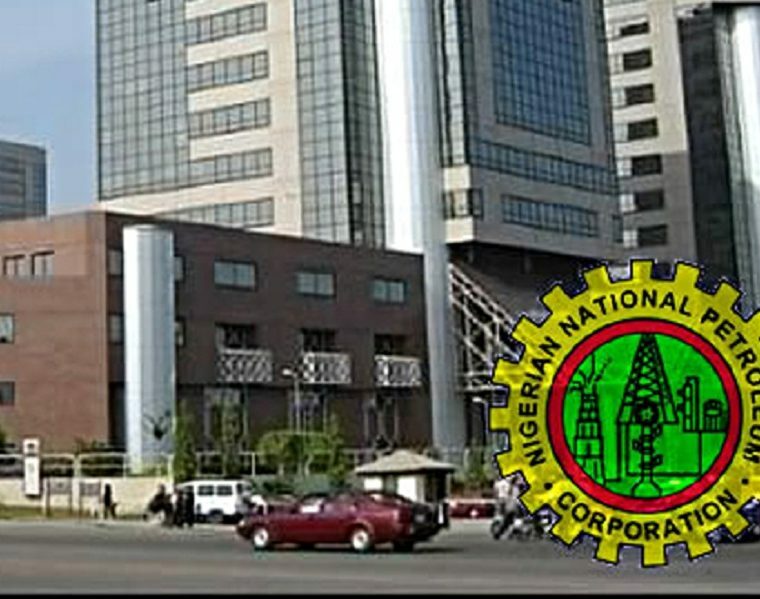 Not less than $2 billion has been realised by the Nigerian National Petroleum Corporation (NNPC) from renegotiated upstream contracts being executed by its various service providers in the last one. This information was disclosed on Tuesday by the Group Managing Director of the NNPC, Mr Maikanti Baru, in a podcast message to the agency’s staff to mark his first year in office. Mr Baru explained that this feat was achieved in the quest to continually drive down the high cost of production in the industry. The state-owned oil firm boss said at the moment, NNPC had lowered operating costs of production from $27/barrels to $22/barrels. “For the upstream, cost reduction and efficiency are key features that we will pay attention to,” he said in the 25-minute podcast. On July 4, 2016, Mr Baru took over the mantle of leadership of NNPC from the present Minister of State for Petroleum Resources, Mr Ibe Kachikwu. Since then, he has carried out various reforms, projecting the agency as a serious government organisation. He has also been able to make petroleum products available across the country. Speaking during the podcast, Mr Baru directed that focal points for efficiency in each of the corporation’s Autonomous Business Units (ABUs), and Corporate Services Units (CSUs), be identified to ensure the realization of the key performance indicators enshrined in the 2017 budget, adding that the NNPC must attain a six-month contracting cycle. Speaking further on the achievement of NNPC in the past one year with him at the helms of affairs, the NNPC chief executive said there had been a significant increase in crude oil reserves and production, stressing that during the period, the national average daily production was 1.83 million barrels of oil and condensate while currently, the Year-To-Date 2017 average production hovers around 1.88 million barrels. He said with the improvement in security and resumption of production operation on the Forcados Oil Terminal (FOT) and Qua Iboe Terminal (QIT) pipelines, the average national production was expected to increase and surpass 2017 target of 2.2 million barrels of oil and condensate per day. The field, he noted, had added a current estimated reserves of one billion barrels to the national crude oil reserves. He noted that the corporation had grown the production of the Nigerian Petroleum Development Company (NPDC), NNPC’s flagship upstream company, from 15,000 barrels of oil per day (bopd) to the current peak-operated volume of 210,000bopd in June 2017. Mr Baru listed the accomplishments of the corporation in the sector to include: completion of the repairs of the vandalized 20” Escravos Lagos Pipeline System A (ELPS –A) in August 2016 which ramped up Chevron Escravos Gas plant supply from nil to 259MMscfd and the completion of repairs of the vandalized Chevron offshore gas pipeline in February 2017 which equally peaked the company’s gas supply to 430MMscfd. The GMD explained that the concomitant effect of the efforts was a significant growth in domestic gas supply in the last few months, adding that during the period, domestic gas supply had increased from an average of 700MMscf in July 2016 to an average of 1,220MMscfd currently, with about 75 per cent of the volume supplied to thermal power plants. “A lot of Generation Companies (GENCOs) are rejecting gas due to the inability of Transmission Company of Nigeria (TCN), to wheel-out the power generated,” Mr Baru said. He informed that since his assumption of office a year ago, resources had been deployed to the Benue Trough, with exploration efforts commenced there in earnest. In the downstream sector, Mr Baru explained that in the last one year, NNPC had stabilized the market with sufficient products availability across the country through modest local refining efforts as well as the Direct Supply Direct Purchase (DSDP) scheme, which he observed had saved the nation about N40billion in 2017. “We have also commenced the resuscitation of our products transportation pipelines network, thus enabling us move products to depots at faster rate and cheaper distribution costs to consumers. The Aba, Mosimi, Atlas-Cove and Kano Depots have all been re-commissioned and are currently receiving products, thereby enhancing products availability across the country,” the GMD said. Mr Baru said in the last one year, NNPC had improved capacity utilization of the refineries with the projection that they would attain supplying 50 per cent of the non-gasoline white products to the nation, including diesel and kerosene that are commonly consumed in the country. The GMD said after more than seven years of dormancy, the Asphalt Blowing Unit of the Kaduna Refining and Petrochemical Company (KRPC) was resuscitated to meet road construction needs in the country. Drawing his address to a close, Mr Baru disclosed that the overwhelming support he received from the agency’s staff and the industry’s in-house unions; Nigerian Union of Petroleum and Natural Gas Workers (NUPENG), and Petroleum and Natural Gas Senior Staff Association of Nigeria (PENGASSAN) contributed to the successes recorded by NNPC management under his leadership in the past year.